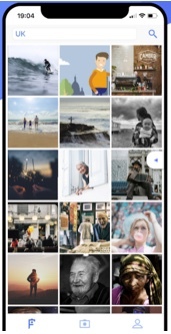 FindYou Photos is a great way to display your pics because they won’t appear in anyone’s clogged social media newsfeed (looking at you Instagram!). Instead of slogging through tons of posts, this app allows your friends to look through your pics through your profile page. Wish you could show off your amazing photography skills? FindYou Photos allows you to upload all of your favorite photos and then share them with your pals with one easy-to-use app. The FindYou Photos app (available for free for iOS at the App Store is definitely changing the photo app game. 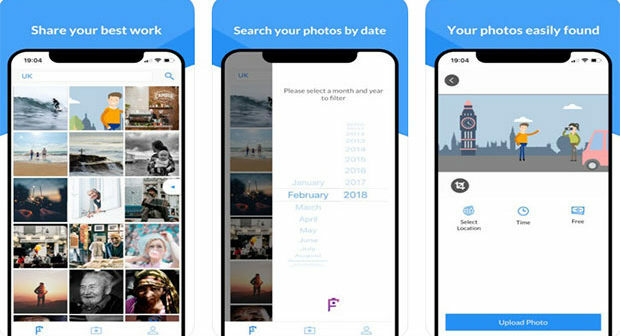 Aside from letting you put your photos on display, the app also lets you search across millions of locations worldwide to find photos of yourself or your friends from other people’s photos. You can search by time, date, and location. Photos are available anywhere from five minutes ago to 50 years ago. You can also help other people find photos of themselves when you upload your own pics. FindYou Photos helps you to relive and download any memorable moments from any time in the past. Basically, you’ll never lose cherished memories of an event again! You can easily set up a profile on the app and can add information that will appear next to all of your photos on the preview page. This page also gives you a global download count of your photos on your profile. If you’re a professional photographer (or just someone who fancies taking photos), FindYou Photos can help you advertise your work or meet clients. Even if photography is just a hobby for you, the app is useful in sharing your pics with friends and family. FindYou Photos is a great way to display your pics because they won’t appear in anyone’s clogged social media newsfeed (looking at you Instagram!). Instead of slogging through tons of posts, this app allows your friends to look through your pics through your profile page. Plus, an added benefit is that FindYou Photos allows you to search any location from around the world – so you might happen upon a pic of yourself that you didn’t even know about. This can be a great bonus for people looking for photos from an important event (like treasured memories from a vacation). And you don’t have to worry about people not tagging you in their photos – you’ll still be able to find pics of yourself by using the search feature. There aren’t too many disadvantages to using the FindYou Photos app. It is a bummer that it’s only available right now for iOS, so Android and Google Play users will have to miss out. Also, some people might not feel comfortable sharing their camera roll with an app – but if you don’t, the app is unusable. Also, the login process means you’ll have to share some info before you can get started. If you want to share your best photographs or want to just search for a special pic, head to the App Store for the FindYou Photos app!